If the overarching goal of the USA is to use Saudi Arabia as its chief partner in a proxy war on the “axis of resistance” in the Middle East, then it can be said that Donald Trump is continuing with the policy of his predecessor Barack Obama and one that Hillary Clinton would have continued as part of the “neoliberal” foreign policy supported by John McCain, the NY Times op-ed page, and me–according to my intellectually-impaired detractors. In using the headline address of his first foreign trip as president to declare his commitment to Sunni Arab nations, Mr. Trump signaled a return to an American policy built on alliances with Arab autocrats, regardless of their human rights records or policies that sometimes undermine American interests. At the same time, he rejected the path taken by his predecessor, Barack Obama. Mr. Obama engaged with Iran to reach a breakthrough nuclear accord, which Mr. Trump’s administration has acknowledged Iran is following. One has to wonder why the two reporters ever thought that there was a “return” to an American policy built on alliances with Arab autocrats given Obama’s actions as opposed to his high-falutin’ words. In a 2002 speech he called upon the Saudis to “stop oppressing their own people, and suppressing dissent” but as President he sold $115 billion of arms to the Saudis, which was $30 billion more than George W. Bush ever did and even $5 million more than Trump’s deal. Meanwhile, for the very first time in the six year war in Syria, the USA has deliberately struck Assad’s military. The first instance was to retaliate for the Khan Sheikhoun sarin gas attack; the most recent was an air strike against a convoy of militias advancing on a base where United States and British Special Forces were training Syrian rebels to fight the Islamic State. Pirouetting as nimbly as Baryshnikov, Porter warned Commondreams readers about Trump agreeing to the Pentagon’s “permanent War in Iraq, Afghanistan and Syria” but held out hope that “judging from his position during the campaign and his recent remarks, Trump may well baulk at the plans now being pushed by his advisers.” This distinction between Trump and his bellicose advisers James Mattis and H.R. McMaster based on Trump’s “remarks” is a reminder that P.T. Barnum was right when he observed that there is a sucker born every minute. Doesn’t Porter understand that if Trump said it was a sunny day, you need to to bring an umbrella with you when you go outside? On April 18th, Secretary of State Rex Tillerson wrote a letter to Paul Ryan assuring him that Iran was living up to the agreement made with the Obama administration not to develop nuclear arms even though the letter referred to Iran’s support of “terror” in the Middle East. Tillerson sounded very much as if he was Hillary Clinton’s Secretary of State on April 10th in the aftermath of the bombing of a Syrian air base (largely ineffectual) with his statement that Assad’s reign was “coming to an end”. One supposes that these words carry about as much weight as Obama’s frequently repeated call for Assad to step down. Russia’s Chief of Staff General Valery Gerasimov and Chairman of the US Joint Chiefs of Staff General Joseph Dunford confirmed in their phone conversation the readiness to reinstate the memorandum of understanding on safe flights over Syria and to draw up more measures so as to avoid any conflicts, Russia’s Defense Ministry said on Saturday. “Syria was in focus of the talks in the light of the agreements, reached in Astana on May 4 this year, on establishing de-escalation zones in some regions of Syria,” the ministry said in a statement. The Astana talks began in Khazakistan in early January. Sponsored by Russia, Turkey and Syria, they were supposed to lead to a truce and eventually an end to the war. The USA sent observers to Astana but did not push for “regime change”, even from the peanut gallery. Last week the rebel delegation boycotted the talks because Assad had violated the truce. Syria blamed Turkey for the breakdown at Astana but the idea that it was opposed to the general aim of the talks to consolidate Assad’s rule over the carcass that is Syria today appears ludicrous given Erdogan’s bromance with Putin that grew out of Turkey’s anxieties over the US-Kurdish military ties plus the need to reestablish commercial relations with Russia to counteract a deep economic slump. Five days ago Trump announced that a waiver on sanctions on Iran would continue even with added restrictions. Relaxation will continue unabated in all likelihood given the election of Hassan Rouhani, a cleric who favors “globalism” as the people at Global Research might put it. The verbal belligerence to Iran must be weighed against the USA’s continuing support for the Shi’a sectarian state in Iraq and its obvious willingness to abide by Assad’s continuing rule despite the two military strikes in 2017. If Trump and his generals were genuinely for prosecuting a proxy war with Iran and Russia, the first thing they would do is arm the rebels against Assad. However, as was the case with Obama, the rebels are expected to fight ISIS, not the blood-soaked despot whose brutal sectarian dictatorship helped ISIS take root. In May 2016, Secretary of State John Kerry advised European banks to proceed full speed ahead investing in Iran, even if American banks still could not. It didn’t take too long for American corporations to take advantage of the thaw. On April 4, 2017 Iran signed a deal pay Boeing $4 billion for 60 jets to refurbish its aging state-owned airline. I am generally not in the business of playing Nostradamus but I am predicting that Trump will okay the deal. 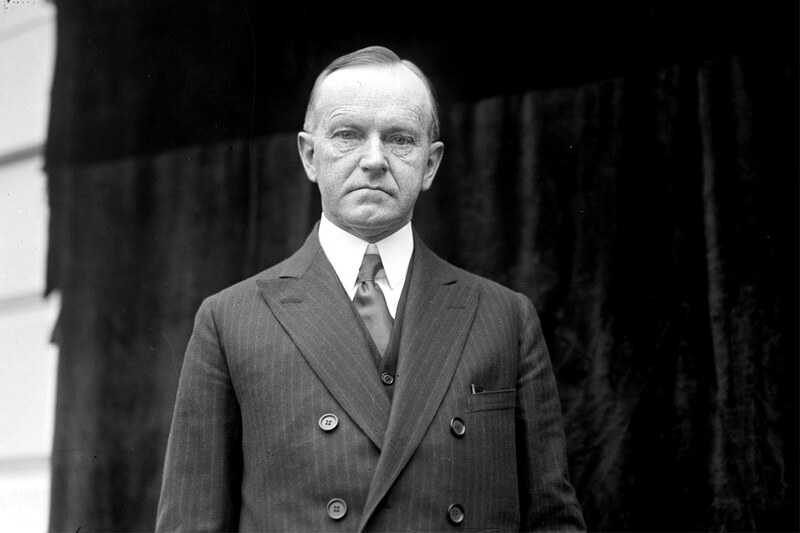 After all, Calvin Coolidge got it right when he said that the business of America was business. After years shunning Iran, Western businesses are bursting through the country’s doors — but U.S. companies are noticeably absent. Dozens of development projects and deals have been hammered out since Iran’s nuclear accord with world powers in 2015 lifted a range of sanctions. Among them, France’s Peugeot and Renault SA are building cars. The U.K.’s Vodafone Group PLC is teaming up with an Iranian firm to build up network infrastructure. Major oil companies including Royal Dutch Shell PLC have signed provisional agreements to develop energy resources. And infrastructure giants, including Germany’s Siemens AG, have entered into agreements for large projects. Chicago-based Boeing Co. last year got the go-ahead to sell 80 aircraft valued at $16.6 billion to Iran. But for the most part, deals involving U.S. businesses are few and far between. Ford Motor Co. and General Motors Co., have steered clear of Iran since the nuclear accord. A Ford spokeswoman said the company was complying with U.S. law and didn’t have any business with Iran. GM is focusing “on other markets, and other opportunities,” a spokesman said. Peugeot has taken notice. Its Middle East chief, Jean-Christophe Quemard, said Peugeot’s early entry has left U.S. rivals in the dust. “This is our opportunity to accelerate,” he said last month. U.S. companies are at risk of losing lucrative deals to early movers into a promising market of 80 million people, analysts say, setting off skirmishes among European and Asian companies eager to gain an edge on more-cautious U.S. competitors. But as latecomers, U.S. companies likely won’t face a learning curve in dealing with the political risks and the bureaucratic difficulties in Iran. Apple Inc. explored entering the country after the Obama administration allowed the export of personal-communications devices in 2013, according to people familiar with the matter. But the company decided against it because of banking and legal problems, the people said. Apple declined to comment. U.S. companies usually need special permission from the Treasury Department to do business with Iran. Further complicating matters for U.S. companies: President Donald Trump during his campaign threatened to rip up Iran’s nuclear deal, and he hit the country with new sanctions shortly after taking office. On Sunday, Iran imposed its own sanctions on 15 U.S. companies, mainly defense firms. The nuclear deal removed a range of U.S., European Union and United Nations sanctions in 2016 that had held back Iranian energy exports and put the brakes on foreign investment. But while food, medicine and agricultural products are exempted from U.S. restrictions, U.S. products are available in Iran often only through foreign subsidiaries or third-party importers. Peugeot, officially known as Groupe PSA SA, is aiming to hit annual production of 200,000 cars in Iran by next year in conjunction with its partner Iran Khodro, after the two signed a 400 million euro ($432 million) joint-venture agreement in June. Already, the pace of both Peugeot’s and Renault’s car sales in Iran has more than doubled. Asian companies, mainly Chinese ones, have had a growing presence in Iran. Some have stepped up activities since the nuclear deal, including China National Petroleum Corp., which joined France’s Total SA in a preliminary agreement to develop a major Iranian gas field in November. Iran has caught the attention of a broad spectrum of investors beyond autos, with foreign companies selling everything from gas-powered turbines to mining technologies in the country. Government-approved foreign direct investment shot up to more than $11 billion last year, official figures show, from $1.26 billion in 2015. Pedram Soltani, the vice president of Iran’s Chamber of Commerce, said more than 200 foreign business delegations have visited Iran since the nuclear deal took effect. Foreign companies still face daunting obstacles to doing business in Iran. Iran placed 131st out of 176 countries for corruption in a ranking by Transparency International last year. It also has major economic problems, including high unemployment and a banking system saddled with bad loans. Large international banks remain reluctant to re-establish links with Iran despite the nuclear deal. That reluctance has made transfers of money into and out of Iran a challenge. Western banks such as Standard Chartered PLC, BNP Paribas SA and Credit Suisse Group AG have generally refused to handle transactions to Iran for fear of running afoul of banking sanctions that remain. Chinese and smaller European banks have attempted to step into the breach, even though many companies remain concerned about the regulatory environment. Some large multinationals — including infrastructure giants and major oil companies — are keeping a close eye on the U.S. in case sanctions snap back into place. Shell, Total SA and OMV AG of Austria have signed memorandums of understanding for deals in Iran but have yet to complete terms. Last month, Total Chief Executive Patrick Pouyanne said the company would wait for clarity from the Trump administration before completing a $4.8 billion investment in the country’s South Pars offshore gas field. But many foreign companies are finding the country’s growth hard to ignore. The International Monetary Fund recently estimated the economy grew 7.4% in the first half of the Iranian fiscal year that ended this month, rebounding from a decline in the previous year. Meanwhile, a surge in demand has pushed consumer spending in Tehran to $5,240 per capita so far in 2017, up about 11% compared with 2016, according to Planet Retail, a London research firm. American deals with Iran will go full steam ahead. That’s my prediction based on the fundamental laws of capitalism, a system that allowed IBM, Coca-Cola and Ford to do business with Nazi Germany even after WWII had begun.